Operating Weight - 6,500 lbs. Digging Depth Maximum - 8' 5"
Dumping Height Maximum - 9' 8"
1/2 Ton Full Size Truck or Equivalent w/Class 3 Hitch Required to Transport w/ a 2-5/16" Ball. 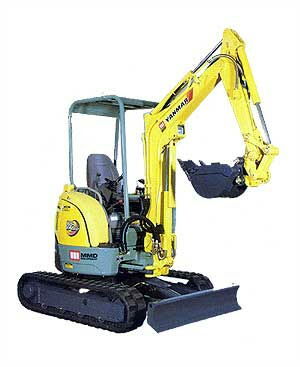 * Please call us for any questions on our excavator mini yanmar lg rentals in Hagerstown MD, Williamsport MD, Martinsburg WV, Waynesboro PA, Mercersburg PA metro areas.